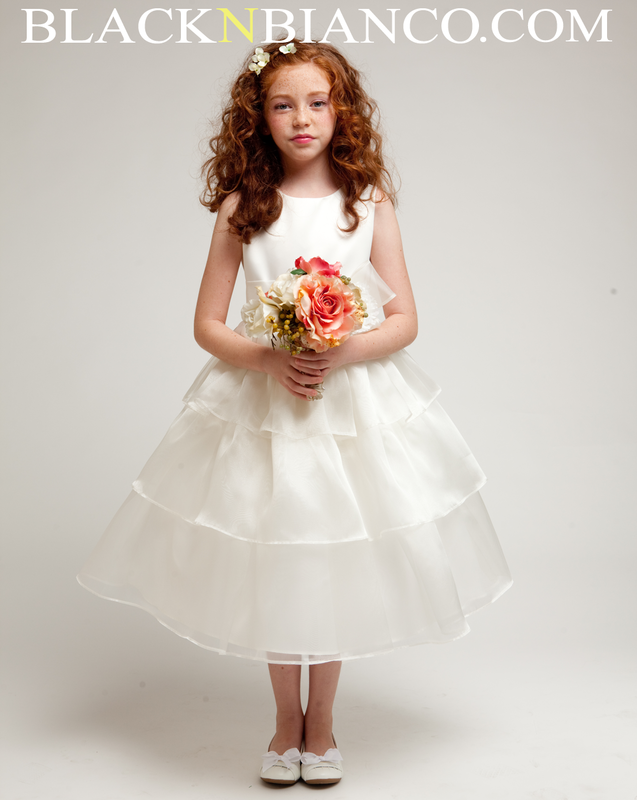 Our new flower girl dresses have arrived for the season! 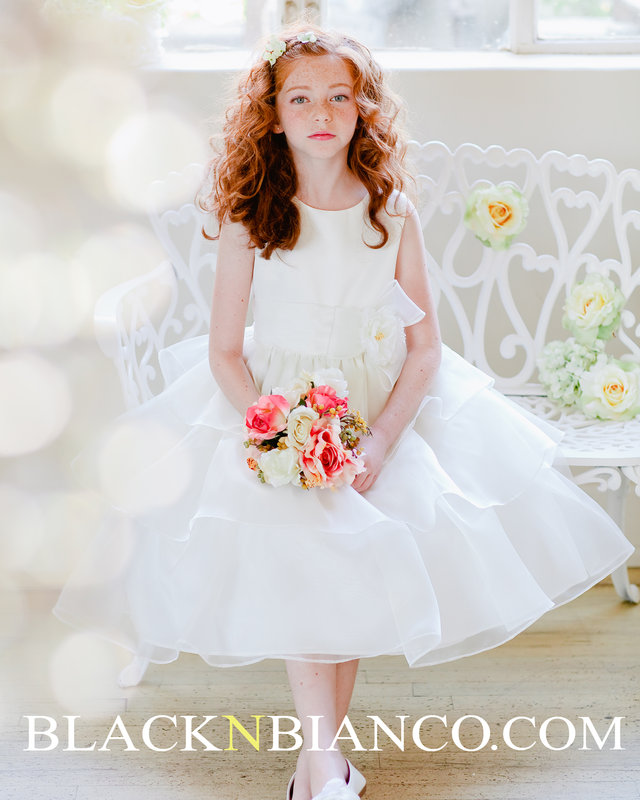 Our long awaited ridiculously adorable flower girl dresses are here for the new seasons! We have been on the search for the perfect dress to match your perfectly styled wedding party. Every dress were hand picked by us. We have a mixed collection like organza tea length dresses and laced sleeve dresses for you to choose from. All of the dresses we picked are proudly made in the USA! The first dress I will showcase is our favorite dress. 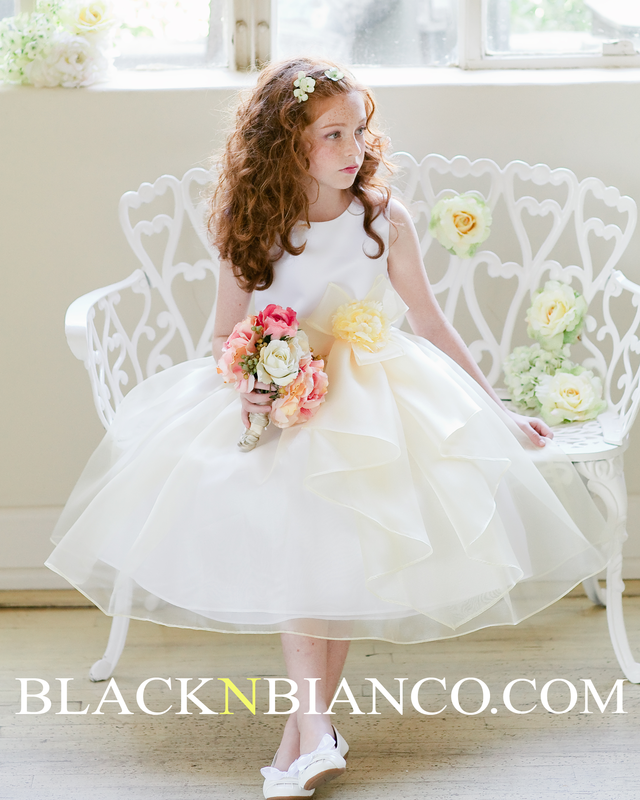 It’s a Ivory flower girl dress made with organza with an extra netting layer to give it that ruffled poofy look. It also comes with an sash and flower attached to the side. We absolutely adore this dress and we feel your little princess will as well! The second dress we will showcase is a satin layered organza dress. It comes in two colors. White and Coral and White and Banana. The skirt is made with a crystal organza a very smooth material that your little girl would be comfortable in. This dress will flow through the air as she walks, like a little princess. It also comes with a sash and a flower. The Third dress is a triple tier layered organza flower dress. Unlike the previous dress this dress comes with three layers. This three layers appear to be never ending overlapping light ruffles. 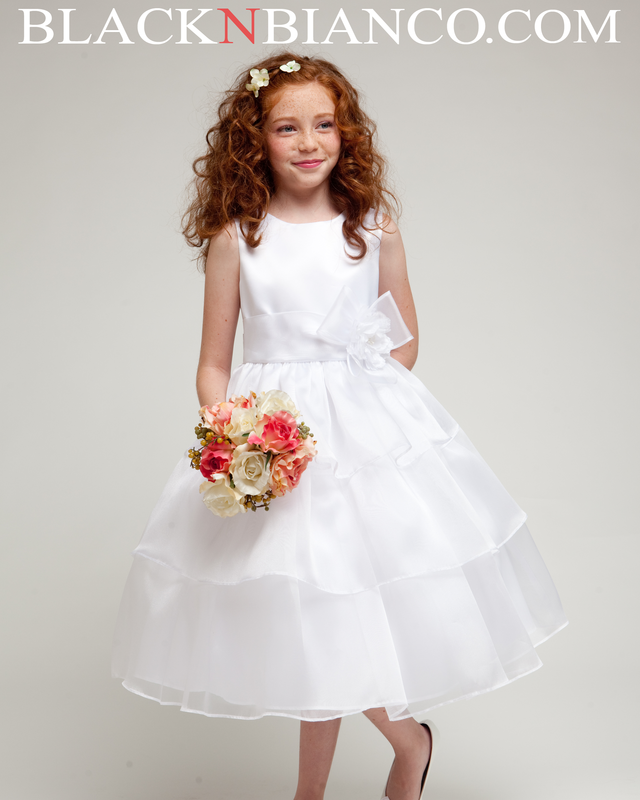 Be very careful if you decide to give this dress to your flower girl, this one might overshadow the bride! Comes in two colors Ivory and White. The last and final dress is our satin lace sleeve party dress. Unlike the other dresses this one isn’t particular used for flower girls. It can be used for birthday parties, formal events and more! Comes in a pure white and vibrate purple.